Articles and Views The Second April 6th Revolution is definitely on the Way despite the Bullets of the Assassins!! The Second April 6th Revolution is definitely on the Way despite the Bullets of the Assassins!! The Glorious April 6 Second Sudanese Revolution is a true revolution and not the April fool’s Day as rumored by the allies of the current National Congress Party regime media. This Revolution is also not stirred up by agents of foreign forces as rumored in the corridors of the ruling regime of the National Congress Party (NCP) led by the genocidal criminal, the fugitive from the International Justice Omer Hassan Ahmed al-Bashir and his hateful criminal corrupt entourage. This article comes against the backdrop of the ongoing uprising of the disenfranchised Sudanese people which entered its one hundred and six days in a row and coinciding with the thirty-fourth anniversary of the popular April 6, 1985 revolution, which was launched by the disenfranchised Sudanese people and overthrew the arbitrary May 25th regime of the military dictator Marshall Ja'far Muhammad Nimeiri. the same National Islamic Front, which was part of the democratic system in Sudan, had plotted to overthrow a democratically elected government headed by Mr. Sadiq al-Mahdi on June 30, 1989, imposed arbitrary laws and continued to rule with an iron fist in the name of Islam. But their behaviour and their actions of financial corruption, hypocrisy, lying, arbitrary repression, perpetrating crimes against humanity, war crimes, and genocide against defenseless Sudanese civilian citizens in the region of Darfur and elsewhere in the vast country, were against the religion of mercy Islam, which means peace and justice. Thus, the people who are continuing uprising and demonstrating since the 19th December 2018 had suffered from the crimes committed by Omer Hassan Ahmed al-Bashir and his Islamism regime entourage over the past lean three decades in the form of injustice, corruption, lack of freedom have been chanting: “Freedom, Peace, Justice and revolution is the people's choice” with aim of ousting the regime leading to its demise and to remain buried in the dustbin of stinking history with its ilk and likes. In the face of this victorious popular revolution, the ruling regime of the National Congress Party (NCP) has been floundering to find a way out of its own impasse. Omar al-Bashir began talking about the need to pay attention to the needs of youth sector in addition to his talk about the so-called “National Dialogue”, which the people of Sudan rejected outright and labeled it the ‘Jump dialogue’ mockingly! Moreover, the mass media outlets surfaced that Marshall Omer al-Bashir has prepared his boring series of talks on Friday 5th of April 2019 addressing it to the uprising people of Sudan at the Republican Palace in Khartoum, the Capital of Sudan at 7:00 pm. 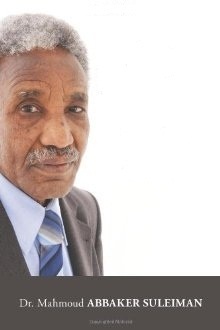 However, the Revolution of the disadvantaged and the marginalized majority of the population of the rest of Sudan who are remaining in the country after the (NCP) regime forced one third of the people of Sudan in the south of the country to opt for Secession and forming their own separate Republic of South Sudan, distancing themselves from the racism they suffered at the hands of the racist bigots. Nevertheless, on Saturday the 6th of April 2019, we the Sudanese will say with all pride that the revolution is victorious despite the militias of the ruling regime; despite the mercenaries of Omer al-Bashir, the people will continue to demonstrate and protest and would not stop fighting until they defeat Omer al-Bashir and his criminal entourage and salute the Sudanese people everywhere. At this juncture, we pay tribute to the Sudanese opposition components, both civil and Armed, represented by the Gathering of Professionals and the Forces of Freedom and Change which carries with it only One National Goal, but no second, which is the toppling of the criminal ruling regime of the National Congress Party (NCP), the one continued over the past three decades claiming of being the protector of the Islamic religion through the infamous terrorist political Islam, that gave birth to the notorious murderous entity what is termed the Islamic State in Iraq and Syria aka (ISIS) or the Islamic State of Iraq and the Levant (ISIL). As the World knows the National Islamic Front (NIF) was a Sudanese political party founded in 1985 by the Sudanese Muslim Brotherhood Movement (MBM) in collaboration with Jafar al-Numayri. 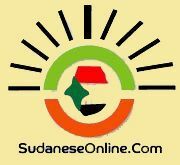 The Islamic Movement, aka, the Muslim Brotherhood Movement (MBM) in Sudan has brought all types of woes to the Sudanese people during their autocratic rein over the past three decades. Now time is ripe for the people of this fractured country Sudan to work hard together and faithfully united against one common enemy to get rid of it once for all. The revolutionaries believe that this goal can be achieved through the Popular Second Sixth April Revolution on Saturday April the 6th 2019 when all the citizens from all parts of Sudan will be uprising and peacefully chanting the nationwide ongoing slogans of the Revolution in all demonstrations: "Freedom, peace and justice: Revolution is the choice of the people"! The world's attention goes on towards Saturday the 6th April 2019, as the most important Sudanese event inside Sudan and abroad, the historic processions will be organized by the Sudanese people inside the Sudanese in the Diaspora abroad to support the struggles of the Sudanese people and aiming as well mobilizing foreign diplomatic missions, International Community decision makers and gaming Mass Media Support for the Sudanese revolution. The fall of the gang of the ruling National Congress Party (NCP) led by genocidal criminal Omer al-Bashir is just around the corner with a bit of united harsh knockout, where it will be no further Chance for recovery. “The people of Sudan want to overthrow the regime» and "Just Down with it” remains the icon of the Sudanese revolution slogan: Tasgot Bas!! And Lick Your Elbow!! Moreover, we repeat the slogan: “Tasgot Bass” because the regime has given up a dear part of the Sudanese homeland in the Halayeb area in Eastern Sudan to Egypt as a price for the assassination attempt on former Egyptian President Hosni Mubarak and abandoned the region of Fashaga to Ethiopia for fear of preserving the throne of Omer al-Bashir. All of those lands are genuine part of the land of our motherland of Greater Sudan, which is characterized by multiculturalism and ethnicity. The Sudanese people's proverb says to the person who despises his family but in reality he is a cowardly in the face of the enemies: The Proverb goes: “ He is a lion against us, but during the wars he is as cowardly as an ostrich! Thus, we find such behaviour has been repeated by Omer al-Bashir and his Army of militias and mercenaries. Homeland is a sacrosanct and a true citizen should stand steadfast in the defense of one’s Homeland. Last and not the least; the regime must come to its Downfall whether like it or not; because many of our people have lost their lives for the sake of the popular Revolution of December 2018, which continues so far. There have been fifty-two martyrs as the victims of the National Congress Party (NCP) regime which still clings to the throne of power on the bodies of those honorable martyrs.